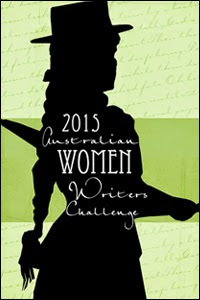 I am interested in this as the novel I am planning is in the historical fiction genre. I can see myself researching forever in the name of factual accuracy when the emotional authenticity of the story is the real issue. But how to get the balance? Starting out with the image of drowning vs the reality, Shanna explores what’s true, what’s fact, what’s accuracy and how much we need of these for an authentic reading experience. It’s an excellent thought piece I continue to think about on many levels. Some great readers’ comments also. The guest post by Benison O’Reilly,’ Writers, Inspiration and the Ideas We Collect,’ on Suzannah Freeman’s ‘Write it Sideways’ was always going to grab me, based as it is on my favourite bird: the beautiful, sleek, dark blue, satin bower bird. The bowers of these fabulous birds are the result of the most amazing courting ritual of gathering blue items to attract a mate. If you ever see a nest, it’s littered with blue bottle tops, blue pegs and other (blue) detritus. All these riches to attract a mate – check out the great pic in the article. Read it – it’s brilliant just like the blue of the satin bower bird! And finally, a custom made article just for me. From reading the author’s blog of C Patrick Schulze and a follow-up twitter conversation, he asked if there was anything specific I needed help with in my writing. I mentioned planning my novel as that is what I need to do next. I have done the research, have the idea but need to plan and get started. The result was a fantastic post with my needs in mind, ‘Don’t write a novel, write a story’. I expected structure, plot, planning details but this overall approach to how to manage the framework of the story was perfect for me just now. My main character’s journey doesn’t seem so heroic on the surface, but this is what I feel – a hero underneath to be resurrected, a victim of circumstances and difficult times that lost her way. I am honoured by the article and its helpfulness. Special thanks to C Patrick Schulze! 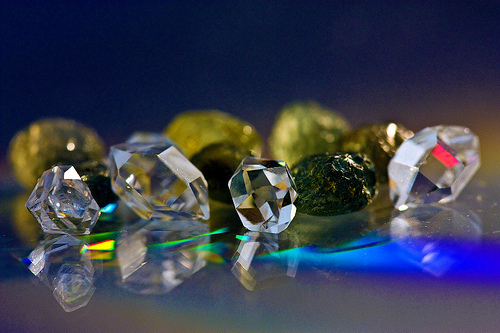 Image, Gems by Orbital Joe from flickr and used under a Creative Commons license.